After years of preclearance and expansion of voting access, by 2013 African American registration and turnout rates had finally reached near-parity with white registration and turnout rates. African Americans were poised to act as a major electoral force. But, on the day after the Supreme Court issued Shelby County v. Holder, 133 S. Ct. 2612 (2013), eliminating preclearance obligations, a leader of the party that newly dominated the legislature (and the party that rarely enjoyed African-American support) announced an intention to enact what he characterized as an “omnibus” election law. Before enacting that law, the legislature requested data on the use, by race, of a number of voting practices. Upon receipt of the race data, the General Assembly enacted legislation that restricted voting and registration in five different ways, all of which disproportionately affected African Americans. What’s more, Motz found that “race motivated the North Carolina legislature” and “faced with this record, we can only conclude that the North Carolina General Assembly enacted the challenged provision of the law with discriminatory intent.” This is precisely the argument North Carolina Rep. Henry “Mickey” Michaux (D) made to me about his shock and disappointment over the legislature’s vote to restrict voting in 2013. There is a total lack of any evidence to show voter fraud has ever been a problem in North Dakota. … The undisputed evidence before the Court reveals that voter fraud in North Dakota has been virtually non-existent. … The public interest in protecting the most cherished right to vote for thousands of Native Americans who currently lack a qualifying ID and cannot obtain one, outweighs the purported interest and arguments of the State. It is critical the State of North Dakota provide Native Americans an equal and meaningful opportunity to vote in the 2016 election. No eligible voter, regardless of their station in life, should be denied the opportunity to vote. The string of victories for voting rights prompted my Center for American Progress colleague Liz Kennedy to celebrate like a kid opening holiday presents. “It’s been like Christmas Day,” she told CNN. While I share Kennedy’s glee, along with the satisfaction of success shared by the legions of plaintiffs and voting rights activists who were compelled to file court challenges that led to the decisions, I remain disquieted by the fact that it had to happen at all. 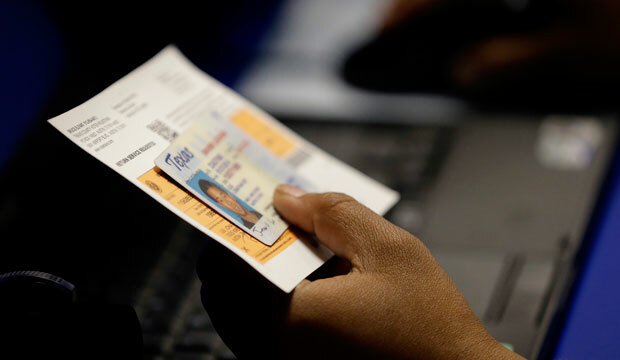 Emboldened by the 2013 Supreme Court’s 5-4 Shelby County v. Holder decision, which effectively struck down the Voting Rights Act, or VRA, numerous state legislatures could not resist imposing restrictive voting rules that limited the rights of black, Latino, and Native American voters and other voters of color. Those state laws would have been impossible without federal approval—known as preclearance—under the now-gutted law. “Our country has changed, and while any racial discrimination in voting is too much, Congress must ensure that the legislation it passes to remedy that problem speaks to current conditions,” Chief Justice John Roberts wrote in the Shelby decision. But contrary to his hollow argument that racism is no longer a problem in U.S. elections, Republican legislators in state after state served up proof of why the VRA is as necessary as it ever was. In fact, the recent legal victories to beat back restrictive voting requirements are pyrrhic, at best. It should never be necessary to spend millions of dollars on legal fees, engage in countless protest hours, and argue in never-ending political debates over whether Americans should be able to vote. Worse, why would anyone in this country question whether people’s race, ethnicity, or gender should be a determinant in their right to vote? But don’t let me spoil this glorious moment. We have had six progressive judicial decisions in the span of about two weeks. Goodness knows, it’s well past time for the pendulum to swing back in favor of this nation’s progressive values. And those decisions have come right on time to make it possible for millions of voters, who might not have been allowed otherwise, to cast a ballot in the upcoming November elections. This is a long time coming, and it’s worthy of a celebration.